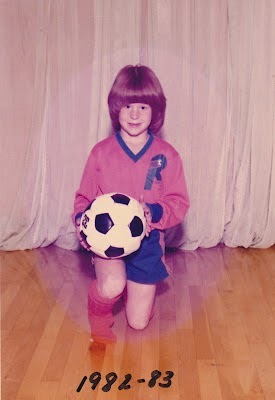 I've played soccer for a long time... probably longer than some of you reading this have been alive. Man, that makes me feel old and stuff. 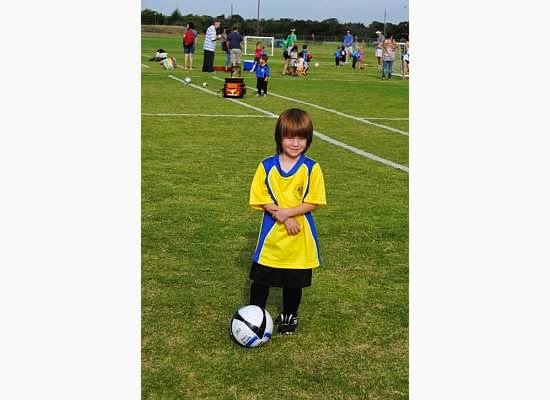 The bowl cut! I can't look away! I don't really remember having snacks when I was really young, but as I got older, the fixture became orange slices at half-time. When I was a teenager, the team manager put lemon slices in our water... now that was something special. Before my Big and Middle littles starting playing soccer, I had head rumours of the post-game snacks; donuts! Gatorade! Rice Krispie Treats! Juice! Sometimes all of the above at the same time! Holy crap and then some. It's not that I'm opposed to those things (okay, some of them I am), I just don't get why anyone would feed that junk to their child after they had just gone out and done something good for their little bodies. I mean, when was the last time you saw a runner crack open a pop after running a 10k? 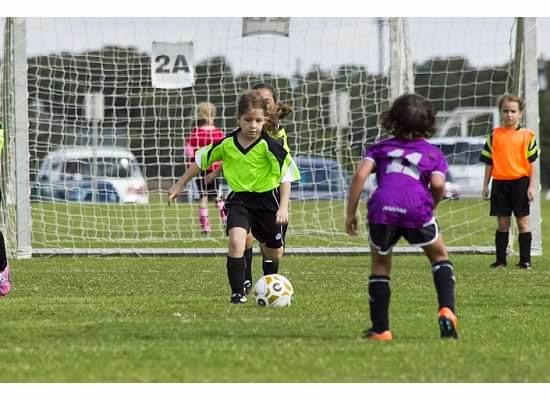 When Elise started soccer at the age of 4, I took the snack coordinator aside and told her about Elise's diabetes. She was still on NPH at the time, so snacks were tricky. Honestly, I'm not sure how we even handled it at the time. We agreed that healthier snacks were the way to go and she asked for parents to stick to those guidelines when bringing snacks. Now that Elise is older, I don't yell "DIABETES" at the snack mom. In fact, we don't really mention it anyone except the coach and how we deal with the post-game snack really depends on what her BG is doing. It gets hard on the days that Mattias and Elise have their games right after one another. For some reason, siblings are included in the post-game snack. I guess all that watching (right after breakfast, may I add) makes people hungry. My biggest face-palm moment came this year after one of Mattias's games. The grandparents had brought (wait for it...) pigs in a blanket (full sized ones) and donuts. Oh yeah, and juice. Before I knew what was happening (I was alone wrangling blood sugars and an ornery 2 year old), Mattias had grabbed one of each and was stuffing them in his face. Elise saw what was happening and went in for the spoils. I stopped her and let her know she could choose one thing, and she would be splitting it with Lucas. Before the protest could leave her mouth, I stopped her and told her she had just eaten breakfast 90 minutes ago, and that she had not done anything but sit there and watch. Of course the grandparents told her to take one of everything, and I politely told them that we were okay with just one donut. They insisted, telling me there was more than enough and I firmly told them, "no thank you... my other two are fine with sharing." It got me some strange looks, but I'm sticking with my siblings-do-not-need-snacks policy (and yes, I realize in this case I gave the siblings a snack, but it was all over when Lucas saw the donut... I barely made it to the car alive). So what do you do when it comes to sports and snacks? I'd love to hear how other parents handle it. And for the record, my go to snacks are (not all at the same time); yogurt, cuties, popcorn, applesauce and water . Because I'm lame like that.